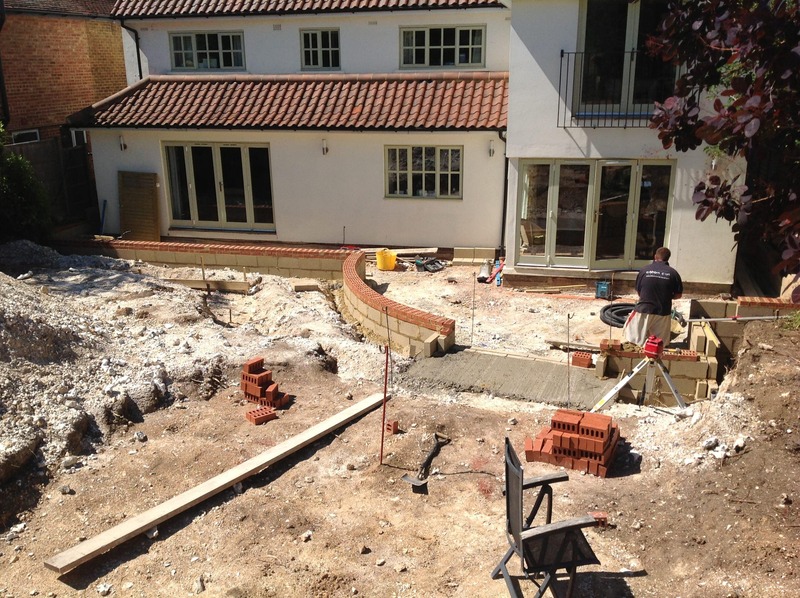 From initial consultation through to landscape design plans and construction to the final finishing touches, we offer a tailor-made service with full project management. 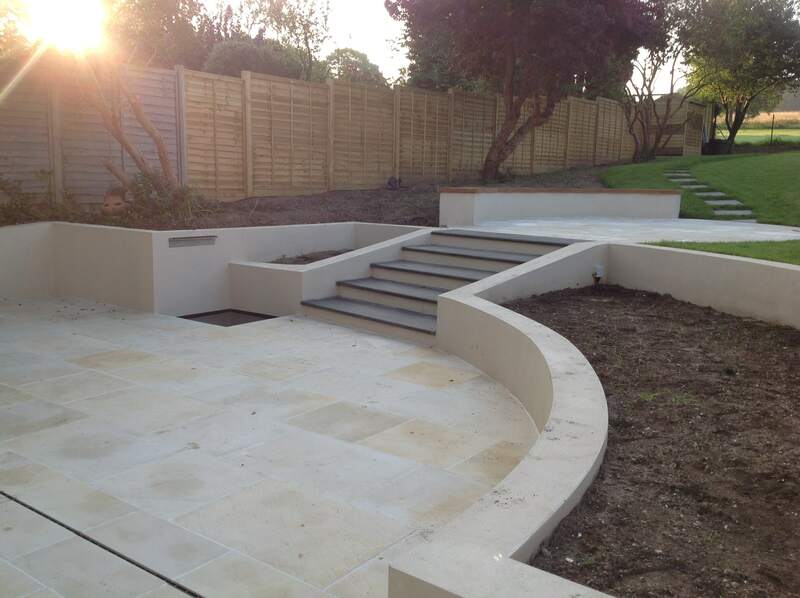 Using our extensive knowledge of plants, materials, equipment and construction techniques, we are well qualified for any large, small, simple or complex project. We will meet with you to discuss what you want from your project. We will assess the site, and discuss with you how your outdoor space will be used in order to get a clear picture of your needs. We will show you examples of our work to give you a better understanding of the scope and design process. We can also provide references and locations of some of our completed sites so you can visit and get a feel for our work. After the initial consultation we will introduce you to the designer best suited for your tastes and the demands of the project. We will then provide you a firm landscape design proposal for the design requirements of your project and the services you would like us to provide. If you accept the design proposal we will move forward with the landscape design. We will provide you with an accurate scaled drawing as well as a detailed specification that shows the location of all proposed site elements and materials plus any existing features that are to remain. 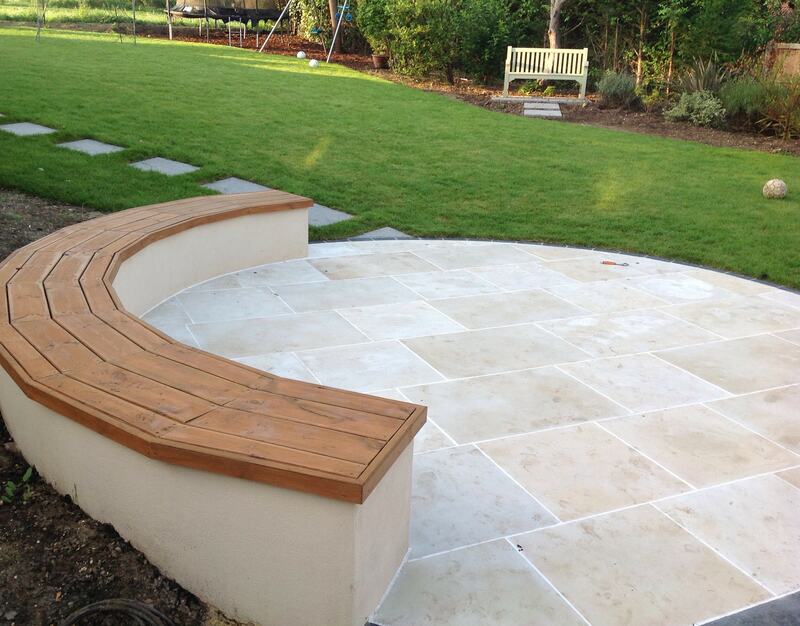 We will deliver to you a final to-scale landscape design plan and planting plan if required. We will undertake the project build with all the hard landscaping being completed first. 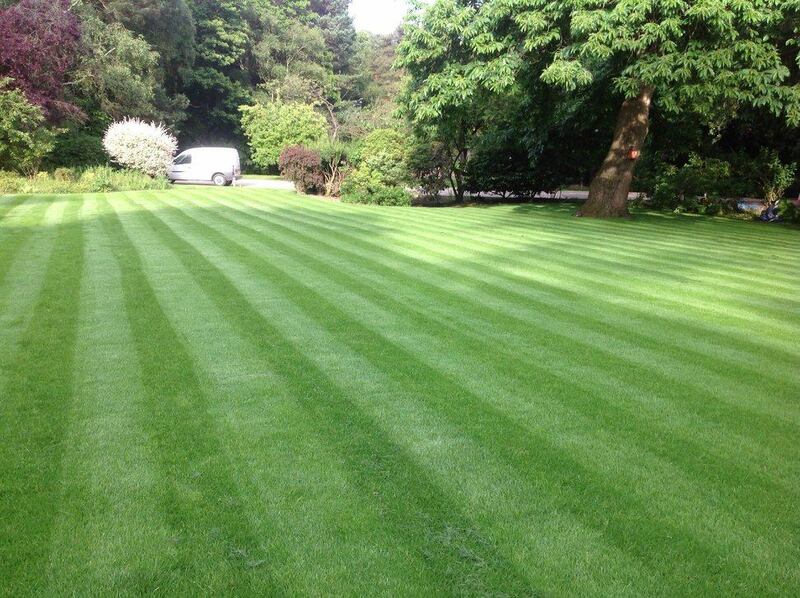 We will then source and select all plant varieties and finish with planting and turfing. At this stage, we can also provide a maintenance schedule to ensure you get the best out of your outdoor space, all year round. 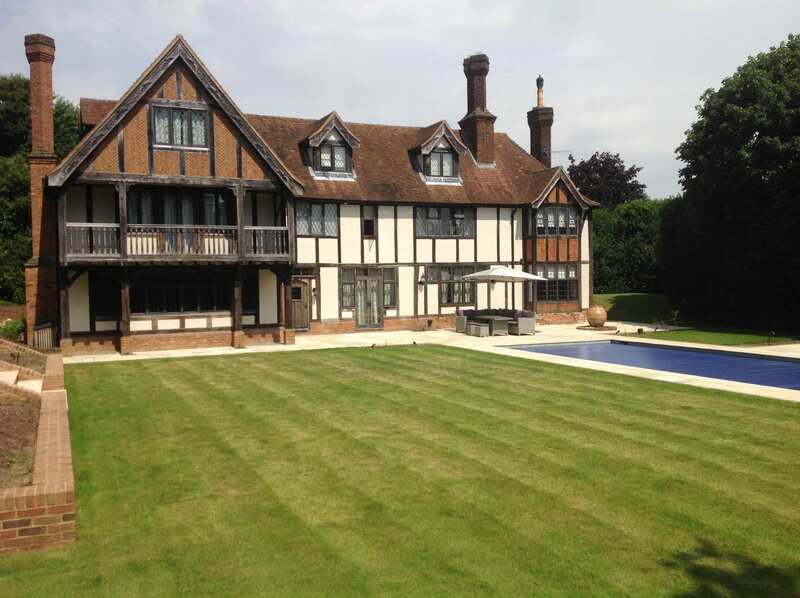 Having undergone extensive building work, our clients in Woking wanted their outdoor environment to correspond with the renovations made inside of their home. This was a design-led project that involved working closely with the client and our design partner throughout the consultation phase. The first stage of the development focused on the court yard area. 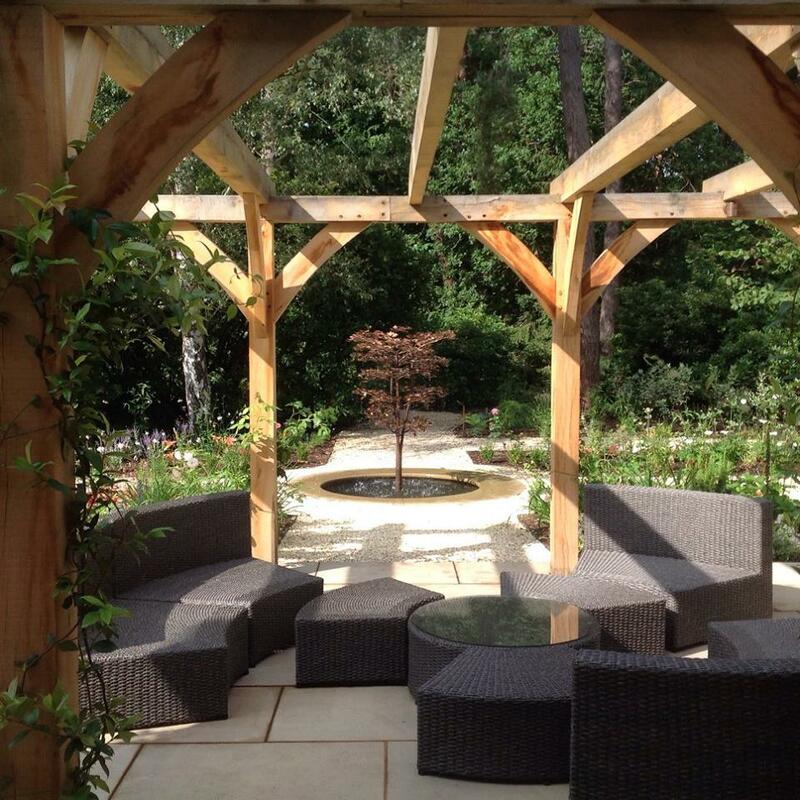 Here we installed a large Oak pergola, water feature and sawn Yorkstone paving. We also laid Needa gravel and installed planting with irrigation and lighting provide by our partner, OGL. 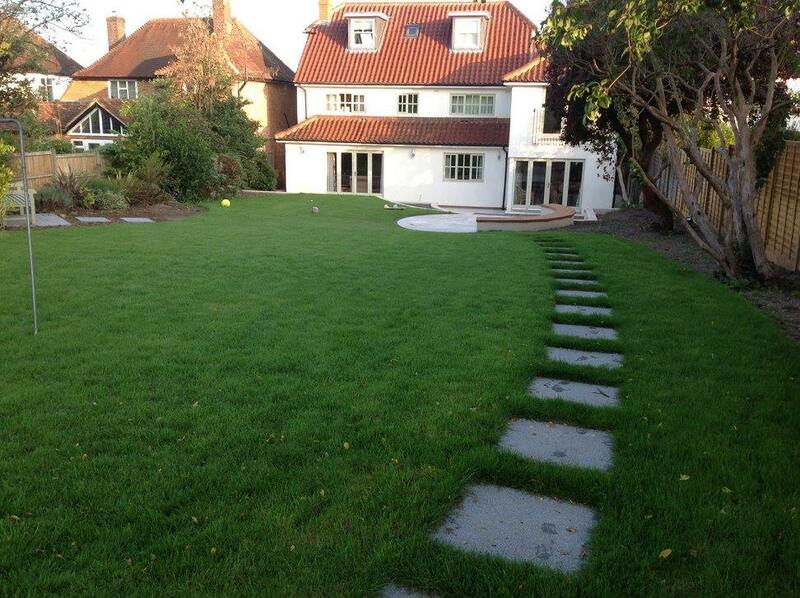 The second stage involved installation of a large irrigated lawn. As this space was previously used as a building site for metal and rubble materials, this stage of the build involved extensive excavation works. We installed land drains throughout the area to drain the land of excess water and ensure that the best conditions were in place for lawn growth. We then laid the framework for the irrigation system before finally laying down new turf. 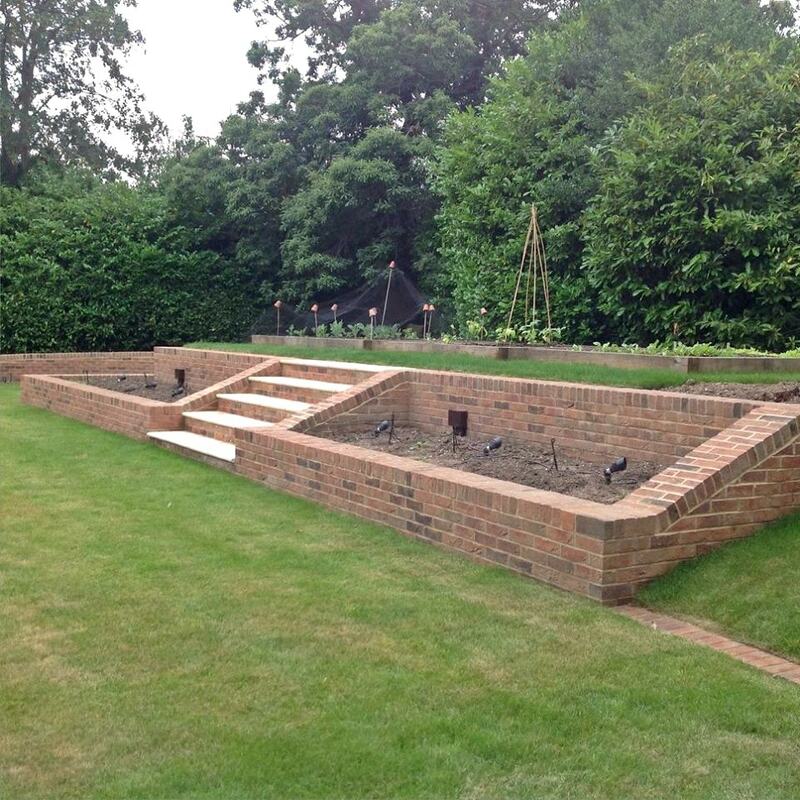 The third and final stage of this project involved installing a walled vegetable garden complete with a green house. 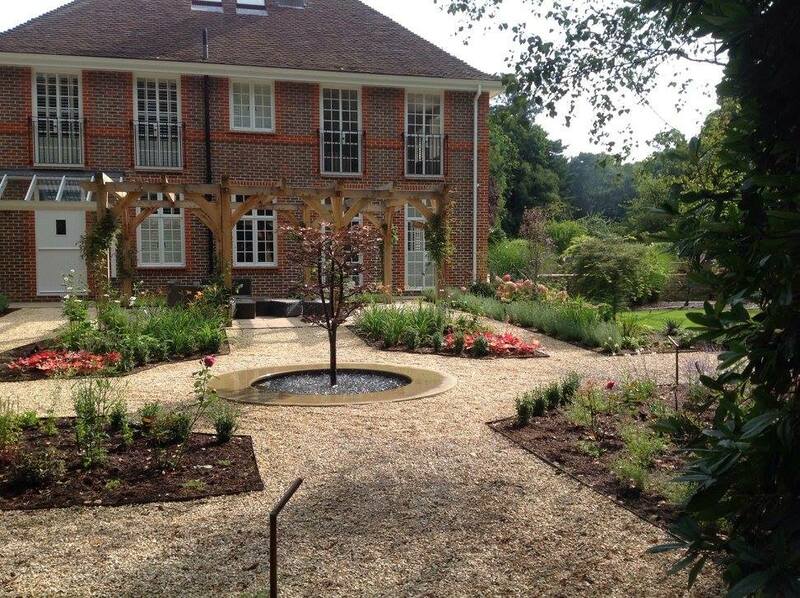 We used brick to create the feel of a cottage style garden complete with oak planters, a feature greenhouse and irrigated planting. 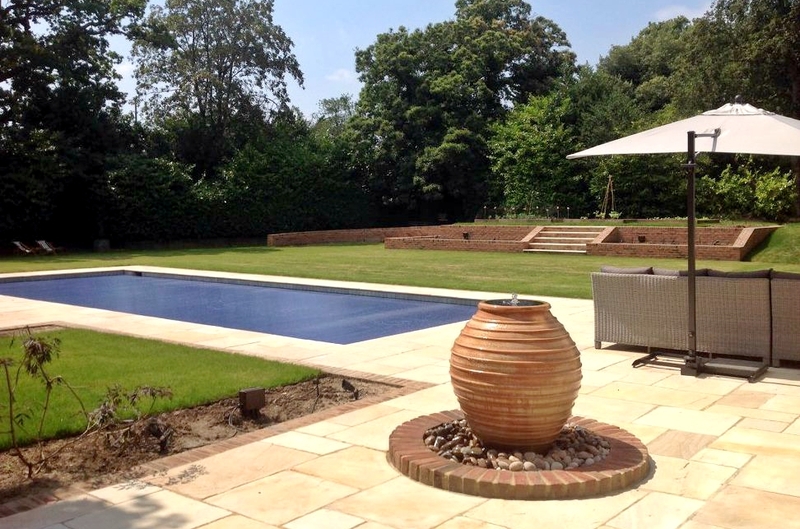 For this project, we worked in partnership with a pool company to create a sophisticated and luxurious pool area. Working within the clients fixed budget, we used our extensive knowledge of products and materials to select paving options that not only provided a practical and safe option but also added style and elegance to the feature. 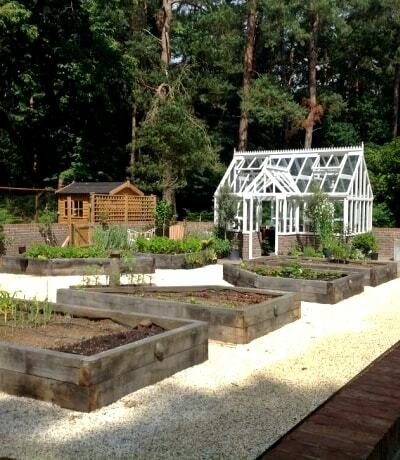 Following construction of the pool, we created new levels within the garden area using 250 tonnes of soil and installed a large vegetable garden. We also installed a large paved patio to create an entertaining space between the pool area and the house, and built a retaining wall to add substance to the environment. We also fitted an attractive water feature and worked with our partner, OGL to install lighting that complimented the stunning features of the new garden. When we began working on this project, it was a sad space that was overgrown and rarely used. We cleared the space completely, cut back all the hedges and trees and removed a rundown shed to create a vast open space ready for renovation. 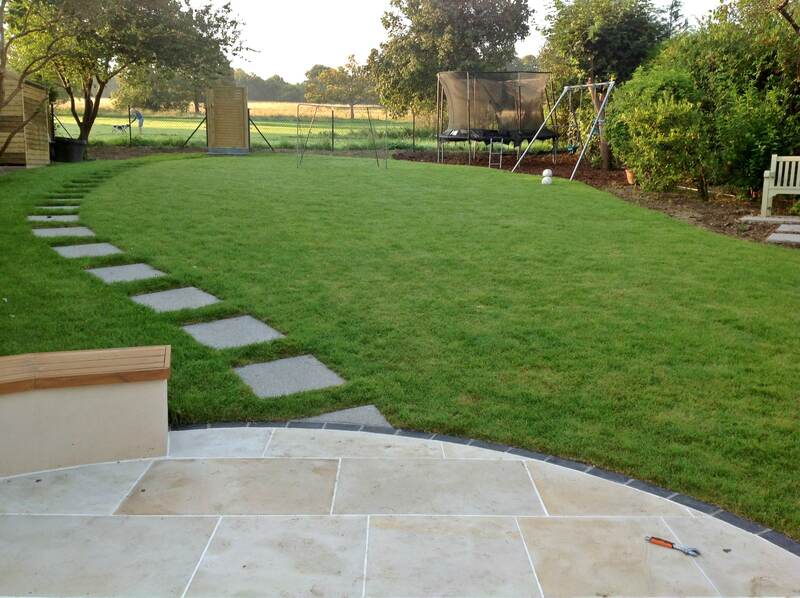 We then enlarged the patio by cutting into the hilled lawn to create a spacious entertaining area that led from the indoor kitchen space to the new garden. 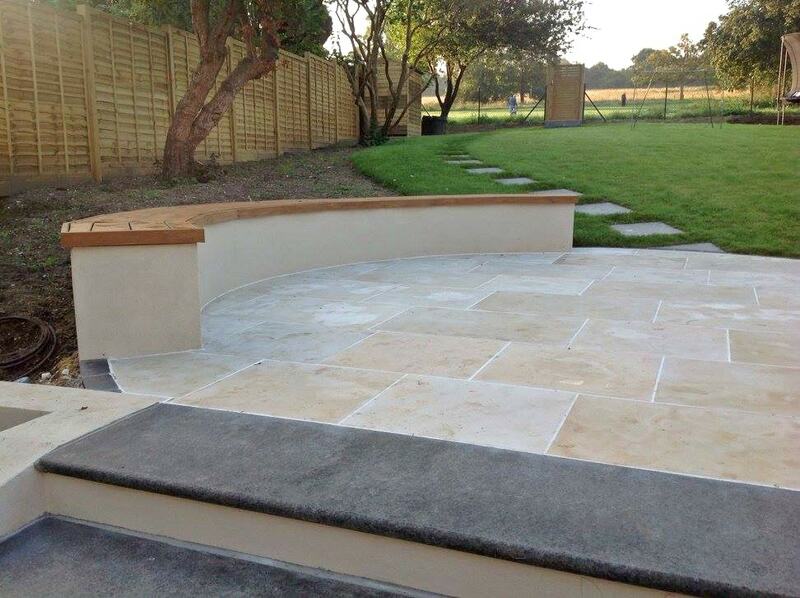 We built a retaining wall that was rendered and painted to add style but also functionality with the ability to use the new wall as a seating area. We renewed the stairs leading to the lawn using basalt step treads and selected sawn sand stone paving to tie in the style of the garden with the look and feel of the house. We built a new fence and planted hedging to the back of the garden to add security and privacy from the neighbouring parkland and finished by laying new turf.